Shaw’s are aware of the multiple logistical challenges local authorities face when distributing voting booths to their respective polling stations and recognise that it is not always ideal to use a traditional wooden booth in all locations. We listened to the typical issues encountered by elections staff, and are delighted to now launch our solution, the Shaw’s VotePod™ – an ingenious, compact, adaptable, portable and, above all, affordable voting booth which can be easily lifted and assembled by a single person. 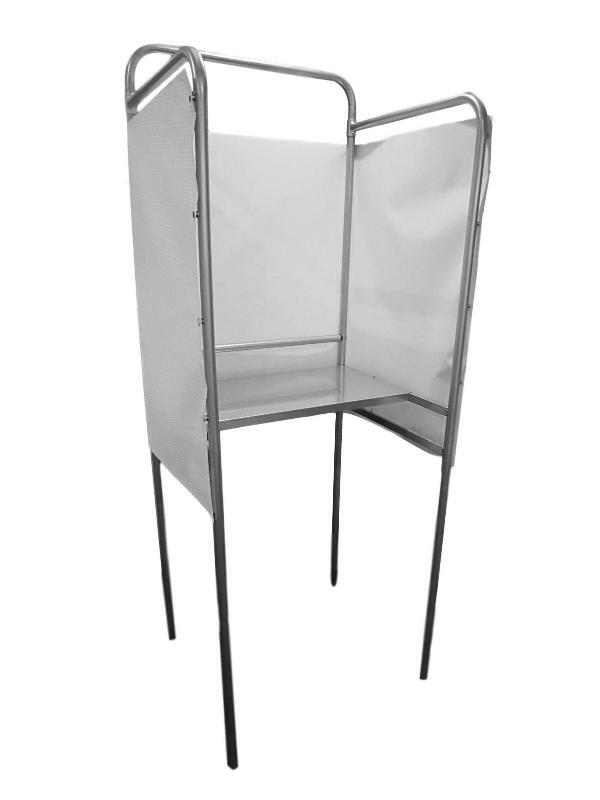 Of contemporary design and robust structure, the VotePod™ requires no tools or separate fixings for assembly, features a durable silver stoved enamel finish steel frame with detachable vinyl privacy screen and weighs under 15kg. Its clever design ensures inclusivity as it features two writing surface levels and two shelves for use in two modes, either standard or accessible. The accessibility VotePod™ can be easily converted into the other mode simply by changing the writing surface shelf (available to purchase separately at additional cost) and positioning it at the appropriate writing height. Ideal for transport in most small cars, the VotePod® disengages easily into 5 smaller separate components (or 6 with the purchase of an additional shelf for use in both modes) and folds flat for ease of portability and storage. VotePod® (patent pending) is manufactured in the UK and is available for delivery from early 2019.